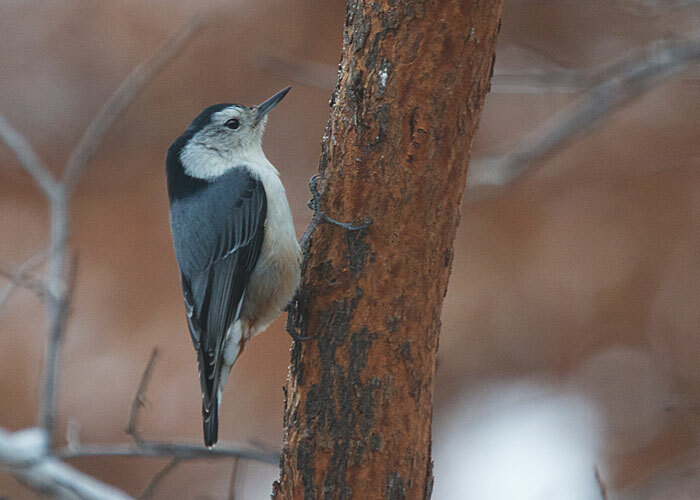 If you look at the neck on this white-breasted nuthatch, you might think he has a touch of "dowager's hump." Actually, his spine is in its usual shape, but the feathers have puffed up at the base of the skull. It's cold out there, and he's conserving warmth. Nevertheless, I'm changing his name to ruff-necked nuthatch. Our bath attracts even more species of birds than the feeders do. Every bird has to drink!